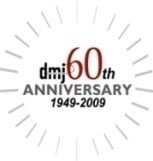 DMJ Wealth Advisors proudly continues the tradition of serving the financial planning needs of successful companies and families that began over 60 years ago. We are dedicated to attracting and retaining the highest caliber of professionals. DMJ financial planners are required to obtain and maintain the most highly regarded professional designations; Certified Financial Planner Certificate, Chartered Financial Consultant or the Chartered Life Underwriter designation. In addition we make substantial investments in our team through continued education and varied professional resources within their respective areas of concentration. When you partner with us, we believe we offer clear, easily understood explanations of the financial planning process. Unlike transaction based financial advisors, DMJ Wealth Advisors' clients have a clear understanding of when they can retire, how they can meet other goals, and what are the risk and return expectations for each of their investments. We consult with our client's legal, tax and insurance providers to ensure their best interests are front of mind and develop a personalized program and roadmap. We’re looking forward to using our experience to help you secure a successful financial future. Certified Financial Planner Board of Standards, Inc. owns the certification marks CFP(R), Certified Financial PlannerTM and CFP (with plaque design) in the U.S., which it awards to individuals who successfully complete CFP Board's initial and ongoing certification requirements. Investment Management Consultants Association (IMCA®) is the owner of the certification marks "CIMA®," and "Certified Investment Management Analyst®." Use of CIMA® or Certified Investment Analyst® signifies that the user has successfully completed IMCA's initial and ongoing credentialing requirements for investment management consultants.